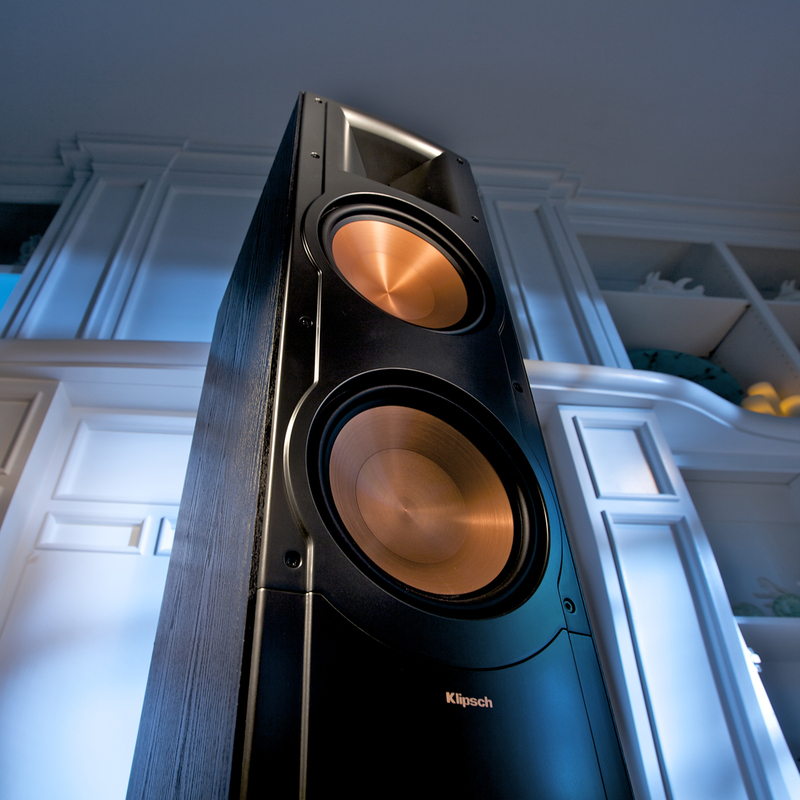 Movies and music will sound just as they were intended to – no matter the room type or size – with the power, detail and emotion of Klipsch Reference II sound. Our exclusive Tractrix® Horn technology and titanium tweeters deliver a most impressive high-end response and greater extension, enhanced imaging and powerful dynamics. Cerametallic™ cone woofers complement the listening experience by creating bass that is always tight and well-defined with a smoother mid-range response. A Linear Travel Suspension minimizes distortion for enhanced performance. Pleasing to both the eye and the ear, the Reference II Series’ elegantly handcrafted finishes result in a seamless integration into any décor. 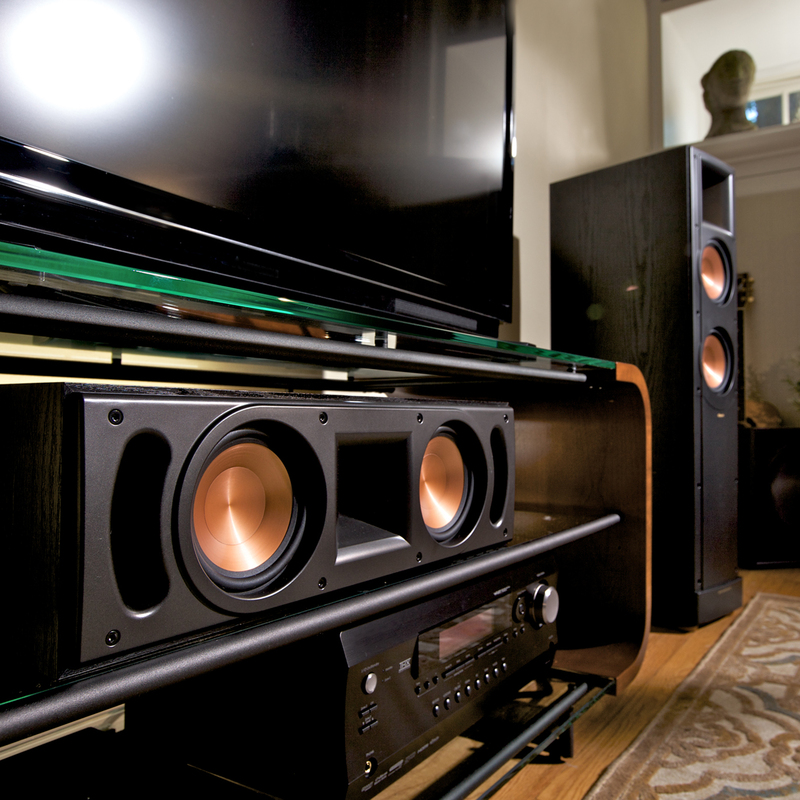 Comprised of five speakers – left and right main speakers, a center channel speaker, left and right surround speakers plus a subwoofer for deep-reaching bass – our Reference 5.1 home theater systems will envelop you in unforgettable, powerful and emotional moments. The flagship RF-7 II and RC-64 II models are available in a stunning real wood veneer with cherry or black ash finish. 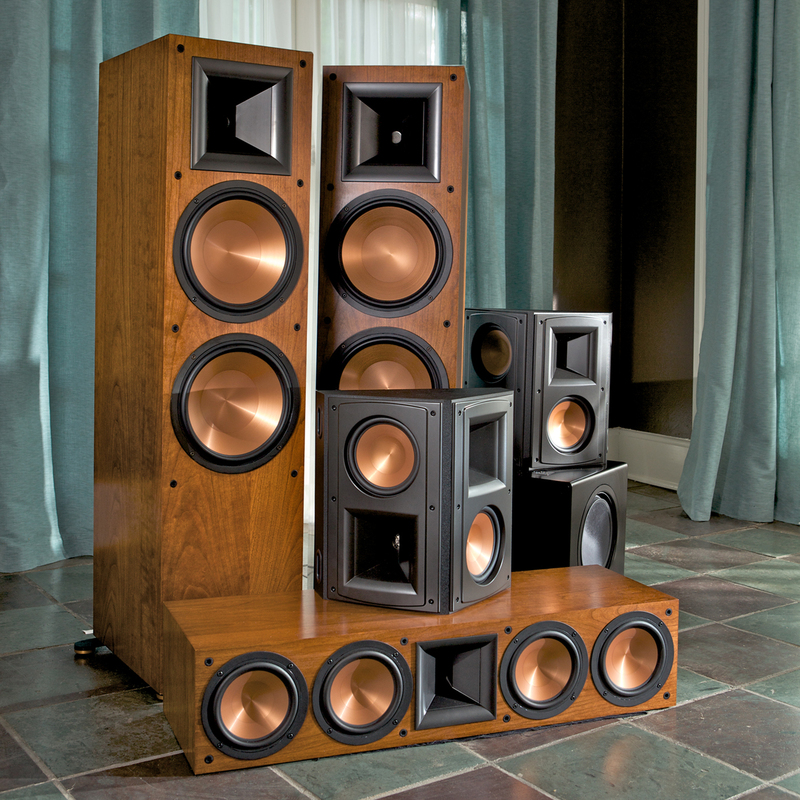 All other models are finished with a beautiful black ash wood-grain vinyl veneer cabinet. Fall in love with your favorite music and movies all over again. In 1946, Paul W. Klipsch created our proprietary horn technology and sound principles that have been the driving force behind our highly acclaimed signature sound. Every speaker we make – from our Professional Cinema speakers, used in half of all newly installed theaters, to our smallest bookshelf speaker – is horn-loaded to create the ultimate live-sound experience. Be it a disguised word, whisper or sigh, Reference II Series speakers capture every detail and bring movies and music to life with astonishing clarity and precision. Placing you on stage with your favorite artists and in the scenes of your favorite motion pictures, these quality speakers are guaranteed to deliver every nuance and detail to complete your entertainment experiences. Our exclusive Wide Dispersion Surround Technology™ (WDST™) reproduces localized and ambient sounds and offer you unlimited placement flexibility for seamless integration.